Bishop Gorman’s explosive wide receiver Tyjon Lindsey, rated by most scouting services as the nation’s No. 1 slot receiver prospect, announced on Monday morning that he has committed to Ohio State. Lindsey caught 45 passes for 1,117 yards and 14 touchdowns and also returned two punts for touchdowns in helping lead the Gaels to their second straight mythical national title last season. He also had three sacks and an interception in part-time duty on defense. The 5-foot-9, 180-pound Lindsey garnered five stars from longtime national recruiting expert Tom Lemming of CBS Sports. He is the third top prospect from Bishop Gorman to commit to the Buckeyes, joining quarterback Tate Martell and defensive lineman Haskell Garrett. Ohio State also landed Trevon Grimes of St. Thomas Aquinas High School in Fort Lauderdale, Fla., on Monday. The 6-foot-4, 202-pound wide receiver is ranked 27th nationally on the 2017 ESPN 300 while Lindsey comes in at No. 76. 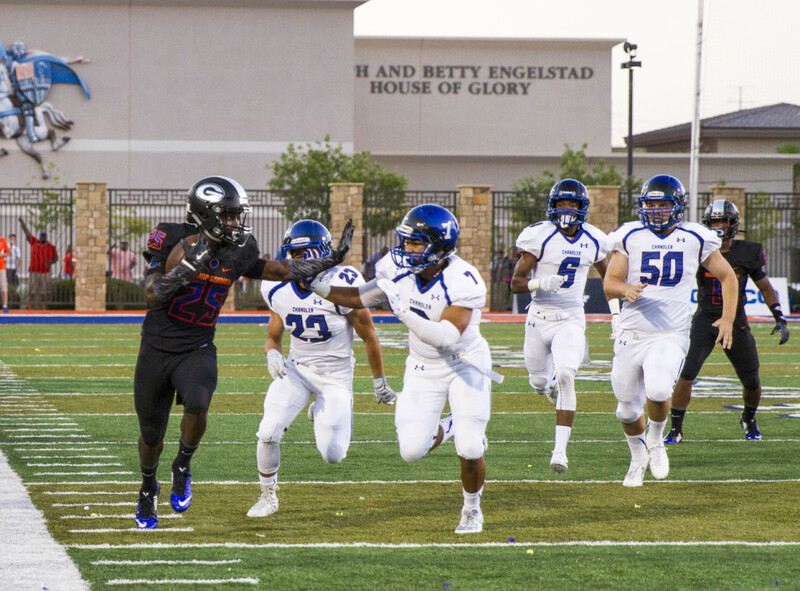 Bishop Gorman, ranked No. 3 in USA Today’s Super Top 25 rankings, opens it season at No. 5 Cedar Hill (Texas) on Saturday night at 5 p.m. on ESPN2.